Payroll is a big deal! You gotta pay yourself, you gotta pay your employees, and you gotta pay your contractors! The problem here is that Payroll can be a bit of a pain for many people. When doing payroll depending on if you have W-2 employees or 1099 contractors, the situation changes. If you’re a one man army, you’re a W-2 employee because you just can’t be a contractor for your own company. Here are just a few items you have to keep in mind when doing payroll for a W-2 employee and keep the IRS agents happy. You need to keep tabs on how much your employees are earning. This means you need to know loaded and empty mile pay for each of your employees and as mentioned before, this includes you. You need to know and understand your local, state, and federal taxation laws. You also need to understand how employee withholdings work. This means you need to understand Social Security tax withholdings. Also don’t forget the Medicare tax withholdings. And of course we also have the federal withholdings. Once you figure this out, you also need to know and understand Employer Matching. This is where it gets interesting because as a one man army, you are the employer and the employee. In the case of a W-2 employee this means you have to match social security withholdings, match the Medicare tax withholdings, and in many cases you also have to cover the Worker’s Comp costs. This is how it generally works but please also keep in mind local and state laws. Things are not the same across the board so take everything I say here with a grain of salt…or a pinch. And now let’s look at the employer matching and contributions. Worker’s Comp prices vary vastly and are based on earned income. It is of utmost importance that you understand this not only to keep a good standing with the IRS office but also to make sure you’re profitable. I’ve ran so many variations of these figures and believe me, you can lose a lot of money if you do this part wrong. I’ve looked at the same numbers as a 1099 contractor and as a W-2 employee and the results a hugely different. We’re a Utah company so we go by Utah tax laws. Here’s a basic example of a basically minimum wage paying position. Say one of your employees makes $1,350 per month, what would this cost you and your employee? So your employee makes $1,350 per month Gross. This means the Social Security tax would be $83.70, Medicare would be $19.58, and Federal withholding would be $378. This means that the total withheld from your employees paycheck is $481.28. Now let’s have a look at the matching side of things. Again please keep in mind your figures will likely be different even if you’re working with the same exact gross amount as here ($1,350). The Social Security match would be the same and would go onto the paycheck as $83.70. Medicare match would also be the same and would appear as $19.58. In this case the approximate Worker’s comp cost for this amount based on my calculations would be $36.92 which is based on a cost of $4.25 per each $100 earned. So the grand total for the employer’s match would be $140.20 for the $1,350 gross pay. What this basically means is that your W-2 employee’s $1,350 gross pay would turn into $868.73 after everything is said and done, or in this case added and deducted. Again, please take these numbers with a grain or pinch of salt since it may be very different for you even if the original gross amount is the same. Also keep in mind State taxes which are different for every state, county, and locale. 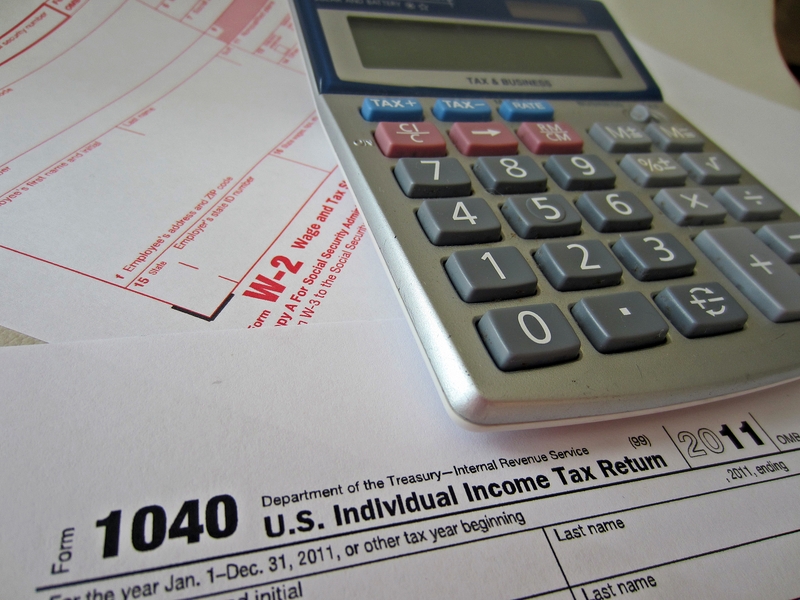 I hope this post helps you better understand taxation of W-2 employees. I hope this post will also push you a bit to hopefully run a few calculations and see if you’re even profitable operating with W-2 employees or if you’d need to hire 1099 contractors. To make sure I drive the point home, please see the financial disclaimer below. American Freight Trucking, Inc. and the AFT Dispatch division is not a Financial Advisor, Analyst, or Financial Planner. The information provided on this site and our other web properties is provided for information purposes only. The information provided here is not intended to be and does not constitute financial advice or any other advice, is general in nature and not specific to you. Thanks for taking the time to read through the post, I truly hope it has been helpful and useful to you and your business. If you have questions or comments, please post them below, if I can help I will.